Lute Olson was most recently head coach of the University of Arizona's men's team for 25 years. Olson was known for player development, and many of his former players have gone on to impressive careers in the NBA. 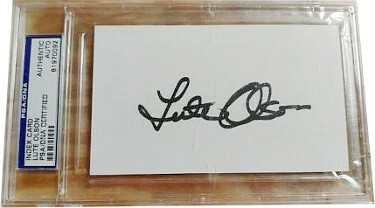 Lute Olson has hand signed this Index Card. PSA Certified Encapsulated #81970092.